If anyone can save him, she’s the one. Thoughts of the Wind Spray offshore with Gordon and Miles—and Jerrod and his crew—looped through her mind. When Lark looked up at her it was through frightened eyes. Her friend had never been good at hiding her emotions and they were on open display now. Dawn put her hand over her heart, vainly thinking it would quiet the thumping in her chest. In itself that wild beating was urging her to do something. Take action. She couldn’t stand there and wait for a message. Dawn pushed against the wind to open the mall’s heavy glass and metal door. Once outside, Dawn led the way around deep water-filled dips in the pavement. They jumped over a few too big to skirt. The storm drains couldn’t handle the rain fast enough, leaving the winding narrow street that led to the winery and the Bean Grinder mostly underwater. They hadn’t seen a storm like this one in a several summers, Dawn thought. A disquieting fact when she pictured Jerrod and the others caught unaware. Dawn slowed down and caught her breath, looking behind her to check on Lark, whose hair, like her own, was flat against her head. Their clothes had soaked through and standing still, Dawn shivered. So did Lark. They had to keep moving. They broke into a jog again, but the blare of a siren immediately brought them to a stop. Dawn looked behind her and through the wall of rain saw the blurred flash of red lights. Both the siren and the lights got closer by the second. “Let’s go.” Dawn forced worry aside. If she gave into the feelings coming over her, fear would paralyze her. Her legs were already wobbly. By the time they were half a block from the marina, the ambulance had passed them and pulled into the lot. Dawn didn’t know she could go any faster, but she picked up her pace and Lark matched it. When they finally reached the parking lot, Dawn stopped next to the ambulance and bent almost in half. With her hands across her thighs above her knees she finally caught her breath. A couple of feet behind her, Lark was in the same stance. An EMT in rain gear ran to them. Getting past tragedy and grief is a hard thing to do. It becomes harder when children are involved and the parent has to be there for their child. both Jerrod and Dawn know what grief feels like. They know loss and bottle their emotions inside. They also both have amazing children who pull the book along in some instances. Virginia McCullough does a wonderful job at describing the emotions of the characters. She makes them very believable and personable. It was easy to get to know them and like them. I enjoyed that she doesn't rush her story, she moves it along at a great pace. This made it easier to connect with the characters and become invested in their story. This is a great story about overcoming and learning to open oneself to possibilities. It's a journey that I am grateful I was able to take part in. The book is clean! I thought Something to Treasure is a great book. The story is true to life, heartwarming and inspiring. I enjoyed spending my time with Dawn and Jarrod. I love their chemistry and did not want to tell them goodbye at the end. I am so happy to be introduced to Virginia McCullough's work. This definitely will not be the last one I read. I look forward to reading more from her in the future. I give Something to Treasure 5+ stars. 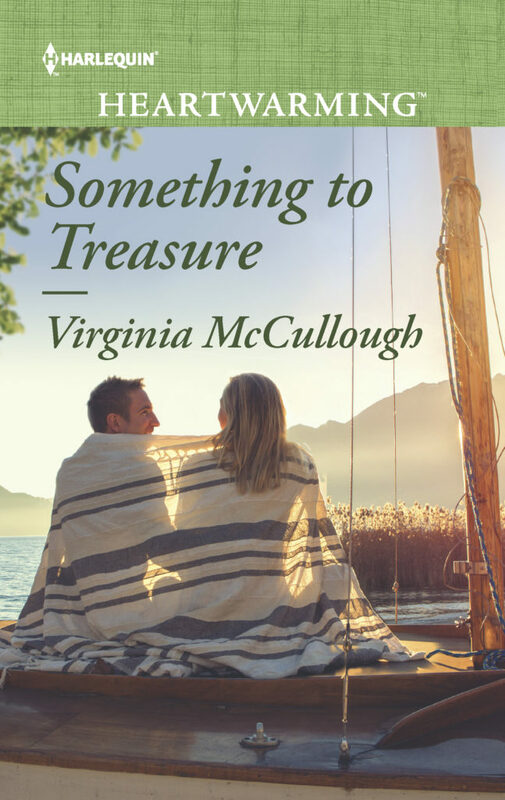 Virginia McCullough has written a book of truly authentic characters. Many books of this genre are populated with cardboard cutouts — the characters have entangled relationships but as individuals they’re not particularly interesting. McCullough’s characters have real jobs and real passions (aside from their passion for each other!) and this makes them come alive in a special way. If you like Mary Alice Monroe’s Beach House books, you’ll love Something to Treasure. Monroe’s passion is for leatherback turtles and in real life she serves on several environmental boards. In McCullough’s book the characters have a passion is for boating and diving, and I’ll bet anything that she’s either grown up in the boating world or has some sort of personal connection with it. It’s not that you have to be particularly interested in diving, or, in Monroe’s case, in leatherback turtles — I’m not — but the fact that the authors know their subject so well gives their characters added depth and interest. You won’t soon forget them.